Weep if you must. It is far better than to repress your tears. 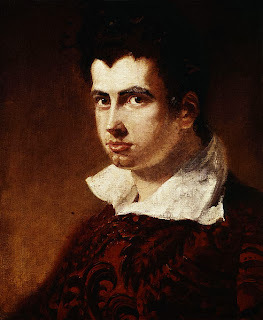 But Leigh Hunt finds greater virtue in cheerfulness. Fanciful and graceful - his writings exerted a wholesome influence on all nineteenth century journalism. There are sorrows, it is true, so great, that to give them some of the ordinary vents is to run a hazard of being overthrown. These we must rather strengthen ourselves to resist, or bow quietly and drily down, in order to let them pass over us, as the traveller does the wind of the desert. But where we feel that tears would relieve us, it is false philosophy to deny ourselves at least that first refreshment; and it is always false consolation to tell people that because they cannot help a thing, they are not to mind it. The true way is, to let them grapple with the unavoidable sorrow, and try to win it into gentleness by a reasonable yielding. There are griefs so gentle in their very nature that it would be worse than false heroism to refuse them a tear. Of this kind are the deaths of infants. Particular circumstances may render it more or less advisable to indulge in grief for the loss of a little child; but, in general, parents should be no more advised to repress their first tears on such an occasion, than to repress their smiles towards a child surviving, or to indulge in any other sympathy. It is an appeal to the same gentle tenderness; and such appeals are never made in vain. The end of them is an acquittal from the harsher bonds of affliction—from the typing down of the spirit to one melancholy idea. It is the nature of tears of this kind, however strongly they may gush forth, to run into quiet waters at last. We cannot easily, for the whole course of our lives, think with pain of any good and kind person whom we have lost. It is the divine nature of their qualities to conquer pain and death itself; to turn the memory of them into pleasure; to survive with a placid aspect in our imaginations. We are writing at this moment just opposite a spot which contains the grave of one inexpressibly dear to us. We see from our window the trees about it, and the church spire. The green fields lie around. The clouds are travelling overhead, alternately taking away the sunshine and restoring it. The vernal winds, piping of the flowery summer-time, are nevertheless calling to mind the far-distant and dangerous ocean, which the heart that lies in that grave had many reasons to think of. And yet the sight of this spot does not give us pain. So far from it, it is the existence of that grave which doubles every charm of the spot; which links the pleasures of our childhood and manhood together; which puts a hushing tenderness in the winds, and a patient joy upon the landscape; which seems to unite heaven and earth, mortality and immortality, the grass of the tomb and the grass of the green field; and gives a more maternal aspect to the whole kindness of nature. It does not hinder gaiety itself. Happiness was what its tenant, through all her troubles, would have diffused. To diffuse happiness, and to enjoy it, is not only carrying on her wishes, but realising her hopes; and gaiety, freed from its only pollutions, malignity and want of sympathy, is but a child playing about the knees of its mother. The remembered innocence and endearments of a child stand us instead of virtues that have died older. Children have not exercised the voluntary offices of friendship; they have not chosen to be kind and good to us; nor stood by us, from conscious will, in the hour of adversity. But they have shared their pleasures and pains with us as well as they could; the interchange of good offices between us has, of necessity, been less mingled with the troubles of the world; the sorrow arising from their death is the only one which we can associate with their memories. These are happy thoughts that cannot die. Our loss may always render them pensive; but they will not always be painful. It is a part of the benignity of Nature that pain does not survive like pleasure, at any time, much less where the cause of it is an innocent one. The smile will remain reflected by memory, as the moon reflects the light upon us when the sun has gone into heaven. When writers like ourselves quarrel with earthly pain (we mean writers of the same intentions, without implying, of course, anything about abilities or otherwise), they are misunderstood if they are supposed to quarrel with pains of every sort. This would be idle and effeminate. They do not pretend, indeed, that humanity might not wish, if it could, to be entirely free from pain; for it endeavours, at all times, to turn pain into pleasure: or at least to set off the one with the other, to make the former a zest and the latter a refreshment. The most unaffected dignity of suffering does this, and, if wise, acknowledges it. The greatest benevolence towards others, the most unselfish relish of their pleasures, even at its own expense, does but look to increasing the general stock of happiness, though content, if it could, to have its identity swallowed up in that splendid contemplation. We are far from meaning that this is to be called selfishness. We are far, indeed, from thinking so, or of so confounding words. But neither is it to be called pain when most unselfish, if disinterestedness by truly understood. The pain that is in it softens into pleasure, as the darker hue of the rainbow melts into the brighter. Yet even if a harsher line is to be drawn between the pain and pleasure of the most unselfish mind (and ill-health, for instance, may draw it), we should not quarrel with it if it contributed to the general mass of comfort, and were of a nature which general kindliness could not avoid. Made as we are, there are certain pains without which it would be difficult to conceive certain great and overbalancing pleasures. We may conceive it possible for beings to be made entirely happy; but in our composition something of pain seems to be a necessary ingredient, in order that the materials may turn to as fine account as possible, though our clay, in the course of ages and experience, may be refined more and more. We may get rid of the worst earth, though not of earth itself. Now the liability to the loss of children—or rather what renders us sensible of it, the occasional loss itself—seems to be one of these necessary bitters thrown into the cup of humanity. We do not mean that every one must lose one of his children in order to enjoy the rest; or that every individual loss afflicts us in the same proportion. We allude to the deaths of infants in general. These might be as few as we could render them. But if none at all ever took place, we should regard every little child as a man or woman secured; and it will easily be conceived what a world of endearing cares and hopes this security would endanger. The very idea of infancy would lose its continuity with us. Girls and boys would be future men and women, not present children. They would have attained their full growth in our imaginations, and might as well have been men and women at once. On the other hand, those who have lost an infant, are never, as it were, without an infant child. They are the only persons who, in one sense, retain it always, and they furnish their neighbours with the same idea. The other children grow up to manhood and womanhood, and suffer all the changes of mortality. This one alone is rendered an immortal child. Death has arrested it with his kindly harshness, and blessed it into an eternal image of youth and innocence. Of such as these are the pleasantest shapes that visit our fancy and our hopes. They are the ever-smiling emblems of joy; the prettiest pages that wait upon imagination. Lastly, “Of these are the kingdom of heaven.” Wherever there is a province of that benevolent and all-accessible empire, whether on earth or elsewhere, such are the gentle spirits that must inhabit it. To such simplicity, or the resemblance of it, must they come. Such must be the ready confidence of their hearts and creativeness of their fancy. And so ignorant must they be of the “knowledge of good and evil,” losing their discernment of that self-created trouble, by enjoying the garden before them, and not being ashamed of what is kindly and innocent. THERE is not a more unthinking way of talking than to say such and such pains and pleasures are only imaginary, and therefore to be got rid of or under-valued accordingly. There is nothing imaginary in the common acceptation of the word. The logic of Moses in the Vicar of Wakefield is good argument here:—“Whatever is, is.” Whatever touches us, whatever moves us, does touch and does move us. We recognise the reality of it, as we do that of a hand in the dark. We might as well say that a sight which makes us laugh, or a blow which brings tears into our eyes, is imaginary, as that anything else is imaginary which makes us laugh or weep. We can only judge of things by their effects. Our perception constantly deceives us, in things with which we suppose ourselves perfectly conversant; but our reception of their effect is a different matter. Whether we are materialists or immaterialists, whether things be about us or within us, whether we think the sun is a substance, or only the image of a divine thought, an idea, a thing imaginary, we are equally agreed as to the notion of its warmth. But on the other hand, as this warmth is felt differently by different temperaments, so what we call imaginary things affect different minds. What we have to do is not to deny their effect, because we do not feel in the same proportion, or whether we even feel it at all; but to see whether our neighbours may not be moved. If they are, there is, to all intents and purposes, a moving cause. But we do not see it? No;—neither perhaps do they. They only feel it; they are only sentient,—a word which implies the sight given to the imagination by the feelings. But what do you mean, we may ask in return, by seeing? Some rays of light come in contact with the eye; they bring a sensation to it; in a word, they touch it; and the impression left by this touch we call sight. How far does this differ in effect from the impression left by any other touch, however mysterious? An ox knocked down by a butcher, and a man knocked down by a fit of apoplexy, equally feel themselves compelled to drop. The tickling of a straw and of a comedy equally move the muscles about the mouth. The look of a beloved eye will so thrill the frame, that old philosophers have had recourse to a doctrine of beams and radiant particles flying from one sight to another. In fine, what is contact itself, and why does it affect us? There is no one cause more mysterious than another, if we look into it. Nor does the question concern us like moral causes. We may be content to know the earth by its fruits; but how to increase and improve them is a more attractive study. If, instead of saying that the causes which moved in us this or that pain or pleasure were imaginary, people were to say that the causes themselves were removable, they would be nearer the truth. When a stone trips us up, we do not fall to disputing its existence: we put it out of the way. In like manner, when we suffer from what is called an imaginary pain, our business is not to canvass the reality of it. Whether there is any cause or not in that or any other perception, or whether everything consist not in what is called effect, it is sufficient for us that the effect is real. Our sole business is to remove those second causes, which always accompany the original idea. As in deliriums, for instance, it would be idle to go about persuading the patient that he did not behold the figures he says he does. He might reasonably ask us, if he could, how we know anything about the matter; or how we can be sure that in the infinite wonders of the universe certain realities may not become apparent to certain eyes, whether diseased or not. Our business would be to put him into that state of health in which human beings are not diverted from their offices and comforts by a liability to such imaginations. The best reply to his question would be, that such a morbidity is clearly no more a fit state for a human being than a disarranged or incomplete state of works is for a watch; and that seeing the general tendency of nature to this completeness or state of comfort, we naturally conclude that the imaginations in question, whether substantial or not, are at least not of the same lasting or prevailing description. but it should be pain for the sake of others, which is noble; not unnecessary pain inflicted by or upon them, which it is absurd not to remove. The very pains of mankind struggle towards pleasures; and such pains as are proper for them have this inevitable accompaniment of true humanity,—that they cannot but realise a certain gentleness of enjoyment. Thus the true bearer of pain would come round to us; and he would not grudge us a share of his burden, though in taking from his trouble it might diminish his pride. Pride is but a bad pleasure at the expense of others. The great object of humanity is to enrich everybody. If it is a task destined not to succeed, it is a good one from its very nature; and fulfils at least a glad destiny of its own. To look upon it austerely is in reality the reverse of austerity. It is only such an impatience of the want of pleasure as leads us to grudge it in others; and this impatience itself, if the sufferer knew how to use it, is but another impulse, in the general yearning, towards an equal wealth of enjoyment. or a solitary voice in a bower, singing for an expected lover; or the chapel organ, waking up like the fountain of the winds. Let a poet go through the grounds and he will heighten and increase all these sounds and images. He will bring the colours from heaven, and put an unearthly meaning into the voice. He will have stories of the sylvan inhabitants; will shift the population through infinite varieties; will put a sentiment upon every sight and sound; will be human, romantic, supernatural; will make all nature send tribute into that spot. And we may say also, upon the like principle, that it adds a precious hearing to the ear. This and imagination, which ever follows upon it, are the two purifiers of our sense, which rescue us from the deafening babble of common cares, and enable us to hear all the affectionate voices of earth and heaven. The starry orbs, lapsing about in their smooth and sparkling dance, sing to us. The brooks talk to us of solitude. The birds are the animal spirits of nature, carolling in the air, like a careless lass. Those balmy spoils.”—Paradise Lost, book iv. Such are the discoveries which the poets make for us; worlds to which that of Columbus was but a handful of brute matter. America began to be richer for us the other day, when Humboldt came back and told us of its luxuriant and gigantic vegetation; of the myriads of shooting lights, which revel at evening in the southern sky; and that grand constellation, at which Dante seems to have made so remarkable a guess (Purgatorio, cant. i., v. 22). The natural warmth of the Mexican and Peruvian genius, set free from despotism, will soon do all the rest for it; awaken the sleeping riches of its eyesight, and call forth the glad music of its affections. The moon is Homer’s and Shakespeare’s moon, as well as the one we look at. The sun comes out of his chamber in the east, with a sparkling eye, “rejoicing like a bridegroom.” The commonest thing becomes like Aaron’s rod, that budded. Pope called up the spirits of the Cabala to wait upon a lock of hair, and justly gave it the honours of a constellation; for he has hung it, sparkling for ever in the eyes of posterity. A common meadow is a sorry thing to a ditcher or a coxcomb; but by the help of its dues from imagination and the love of nature, the grass brightens for us, the air soothes us, we feel as we did in the daisied hours of childhood. Its verdures, its sheep, its hedge-row elms,—all these, and all else which sight, and sound, and associations can give it, are made to furnish a treasure of pleasant thoughts. Even brick and mortar are vivified, as of old, at the harp of Orpheus. A metropolis becomes no longer a mere collection of houses or of trades. It puts on all the grandeur of its history, and its literature; its towers, and rivers; its art, and jewellery, and foreign wealth; its multitude of human beings all intent upon excitement, wise or yet to learn; the huge and sullen dignity of its canopy of smoke by day; the wide gleam upwards of its lighted lustre at nighttime; and the noise of its many chariots, heard at the same hour, when the wind sets gently towards some quiet suburb.